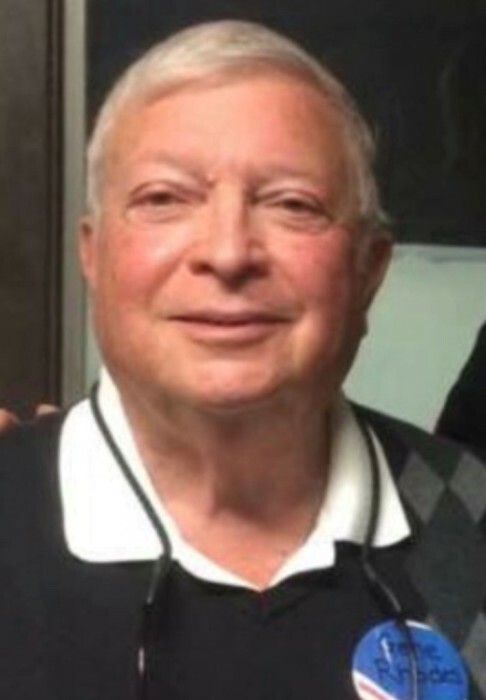 Gene R. Rhodes, 79, of Wooster, passed away Saturday, April 06, 2019, at LifeCare Hospice in Wooster. Friends may call Tuesday from 4 to7 pm at Roberts Funeral Home – Sherwood Chapel, Wooster. Services will be Wednesday at 11am at Grace Church with Pastor Robert D. Fetterhoff officiating. Private inurnment will be at Sherwood Memorial Gardens, Wooster where military rites will be held. Online tributes may be made at www.robertsfuneralhome.com. Memorial contributions may be made to LifeCare Hospice, 1900 Akron Rd., Wooster, OH 44691 or Grace Church, 4599 Burbank Rd., Wooster, OH 44691. Gene was born October 5, 1939 in Beckley, WV to George Raymond Rhodes and Marjorie (Neely) Rhodes. He graduated from Mullens High School in Mullins, WV in 1957. He married Shirley Gasser on January 18, 1964. She survives. Gene entered the US Army in 1958 at Fort Jackson, SC then Fort Gordon, GA training for Military Police and then onto Korea for 14 months, returning to US at Fort Meade Maryland as an E4. After he was Honorably discharged, he moved to Ohio, living in Rittman and then moving to Wooster in 2011, where he graduated from Wooster Business College with a degree in Accounting. Gene worked at PPG in Barberton, Morton Buildings and then began his career as a Deputy Sheriff in Wayne County. He retired after 25 years with the rank of Captain. He was also Commander of the Wayne County Reserves as well as jail commander until retirement in 1997. While working as a Deputy he also did part time accounting as well as income taxes, which he continued after his retirement from the Sheriff’s Office until his health no longer permitted. Gene was very active at Chippewa Church of the Brethren for many years and later was a greeter and involved in several committees at Grace Church in Wooster, where he is a member. Gene enjoyed fishing and spending time with his family and friends. The pride and joy of Gene’s life was spending time with his grandchildren. He and Shirley traveled extensively throughout the United States, including Hawaii and Alaska. They took many trips with their daughter and her family. They also took many trips with good friends. Those left to cherish his memory are his wife, Shirley; children Eric “Rocky” (Debbie Kuhar) Rhodes of Canton, Lori (Chris) Glazier of Apple Creek and Tim Rhodes of Navarre; grandchildren, whom he adored, Alex Glazier, Clayton Glazier and Kaleigh Glazier; great-grandson Colton Glazier; sister, Cheryl (Dave) Harsh of Daniels, WV; sisters-in-law Colleen (Phil) Ritzi, Norma (Rob) Clason, Debbie Gasser; brother-in-law Jim (Marianne) Gasser; aunt Shelby Roberts and many special nieces and nephews. Gene was preceded in death by his parents, brother Gary Rhodes, in-laws Lloyd and Marie Gasser, brother-in-law Tom Gasser, sister-in-law Donna Hughes.